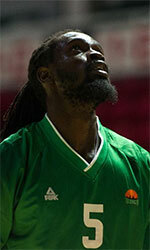 Laval US (NM2) agreed terms with 25-year old Senegalese international power forward Mamadou Diop (204-93). He is a dual citizen owning also Spanish passport. Diop played last season at Academy Basket Fidenza 2014 in Italian Serie C.
The previous (16-17) season he played at Melco Ieper (Top Division I) in league where in 24 games he had 8.6ppg and 4.4rpg. 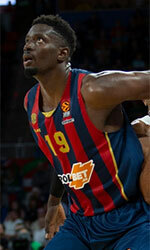 Diop's team made it to the Spanish Cup (Copa del Rey) Semifinals in 2016. He also represented Senegal at the World Championships U17 in Hamburg (Germany) eight years ago. His stats at that event were 5 games: 1.8ppg, 1.2rpg. Diop has played also professionally for other Spanish teams like Baskonia, CB Guadalajara, Ourense Capital Termal II, Alava and Oviedo CB.